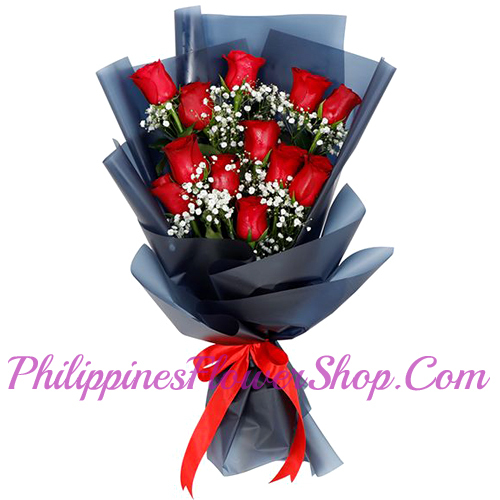 12 red roses with green leaves. Dramatic, classic, and utterly stunning, this bouquet of perfect red roses and fragrant babybreath makes a grand statement full of deep sentiment and stylish luxury. Share the gift of beauty today!